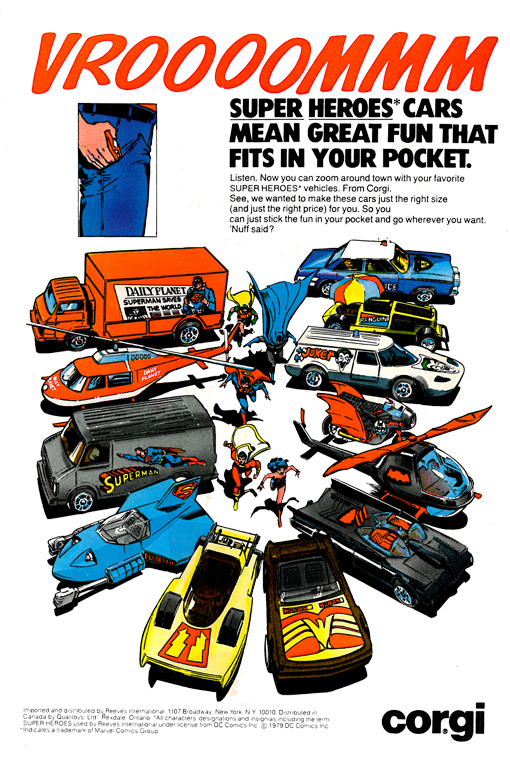 It feels mildly blasphemous to showcase an ad for toys based on characters from Marvel's distinguished competition, but these Corgi Super Heroes vehicles based on the DC pantheon of characters are too awesome to ignore. I definitely remember having what I called the Jokermobile when I was a kid, and this whole lineup looks great. I don't think that Corgi did a series of vehicles based on Marvel properties, but I'll look into that to find out for certain.